A group of Brexiteers have planned a blockade on the M5 for this evening, Friday 22nd March. The plan is to form a ‘go-slow’ blockade with slow moving traffic from 5.30pm this evening. Starting at Exeter services along the M5, turning off at J27 and returning to Exeter services. Protests have been organised to disrupt motorway traffic across the country by the anti-EU group Brexit Direct Action. 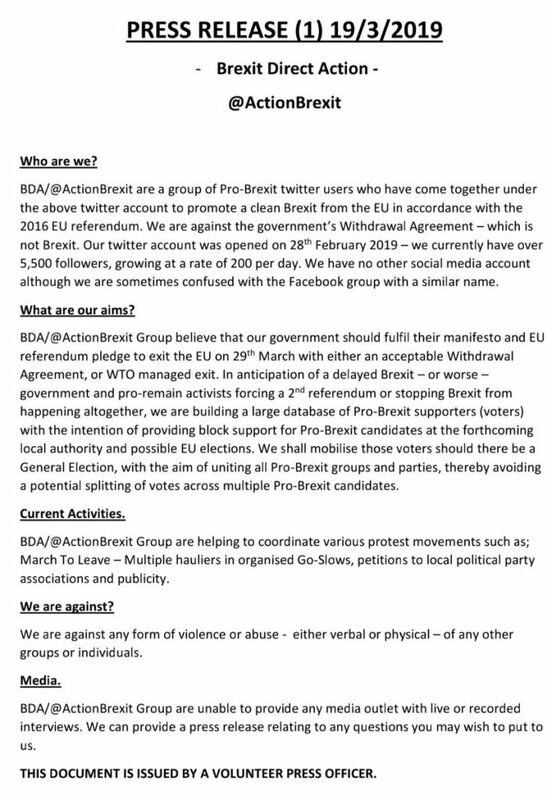 The group aims to target the countrys significant motorway to deliver their pro-Brexit message.